Ants are highly complex, social insects. They are a “live to work” type of species and they are constantly looking for food to support their colonies. They invade homes and buildings looking for food and establish networks of pheromone (a long lasting attractive chemical) trails between food sources and their nests. Foods that are high in sugars and proteins are a big lure for Ants but their diet varies widely. If you find Ants in your house then they are probably eating what you’re eating. In addition to being an annoyance, Ants can spread germs and cause structural damage to your home. Because there are over 450 different species of ants, proper identification is critical to controlling and eliminating them. The most common species are Pavement Ants, Carpenter Ants, Pharaoh Ants and Fire Ants. Size: Worker Ants are 6 – 13 mm in length. Queen is 25 mm or more. Colour: Black Carpenter Ants reside indoors and outdoors in moist, decaying wood where they create their nests. Unlike termites, Carpenter Ants do not eat wood, rather they excavate it to create pathways for movement within their nests. 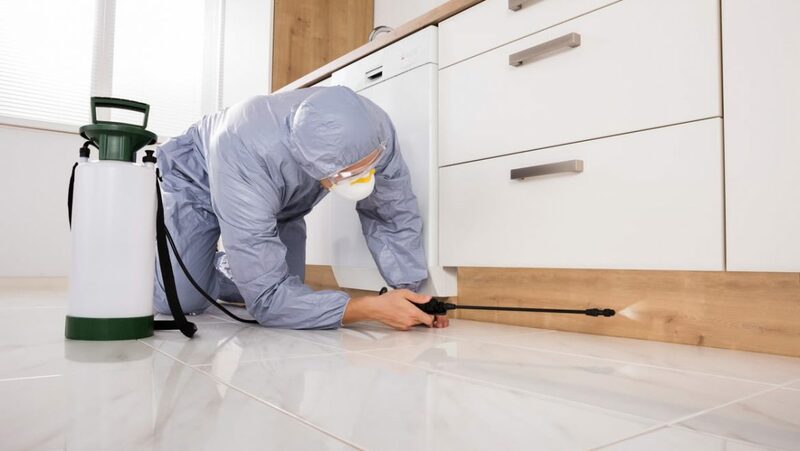 While both Termites and Carpenter Ants are found invading homes, Carpenter Ants are much more common. Their diet consists of other insects, plant materials and they are attracted to sugary foods that they forage for. Carpenter Ants can be grouped into 3 categories, workers (females), queens and males. Workers live up to 7 years and range in size from small to large. Workers are responsible for expanding nests, foraging for food and taking care of the young. Queens are the largest and are responsible for laying eggs and establishing new colonies. When a colony reaches maturity, ants with wings (females) are produced and will breed. Queens can live and produce eggs up to 15 years while males are die shortly after they breed. Because Carpenter Ants create their nests in wood they can cause significant structural damage and can be difficult to eliminate If you are finding saw dust like debris in areas where there is exposed wood, this may be an indication of a Carpenter Ant infestation. Bear in mind that this debris is not always visible. Specialized treatment is required to eliminate them which often involves injecting dusts and liquid pesticides into nesting locations. Identification of all nests is critical to the success of a treatment program. Treatment generally requires building occupants to vacate the premises for at least 6 hours. Your Cannon Pest Management Professional will provide full details. Size: Typically 1.5 mm in length. Colour: Adult ant is yellow or light brown to red. Club at end of antennae has three segments. Usually 1.5 mm in length, Pharaoh Ants are light yellow and reddish brown and are common throughout the world. Because of their small size and transparent colour they can be difficult to detect. Unlike other Ant species their colonies are less centralized, smaller and more mobile which means eliminating them can be more challenging. Originally a tropical species they are most often found indoors where it’s nice and warm. They are usually found under floors, in wall voids and in some types of furniture. They follow plumbing lines and wiring and can be found in light switches and electrical outlets. They feed on a wide range of food. The pharaoh ant queen can lay hundreds of eggs in her lifetime. From egg to sexual maturity, it takes the pharaoh ant about 38 to 45 days, depending on temperature and relative humidity. They breed continuously throughout the year in heated buildings and mating occurs in the nest. These minute, multi-colony ants are extremely difficult to eradicate. In hospitals they have become a serious health concern, transmitting infectious disease because of their attraction to blood, intravenous fluids, body fluids and wounds. The Pharaoh ant nests in inaccessible locations near warm, moist areas. A very low percentage of a colony leaves the nest to forage; those that do, forage long distances, feeding on protein and sugar sources. Cannon Pest Control will eradicate these ants by placing bait.